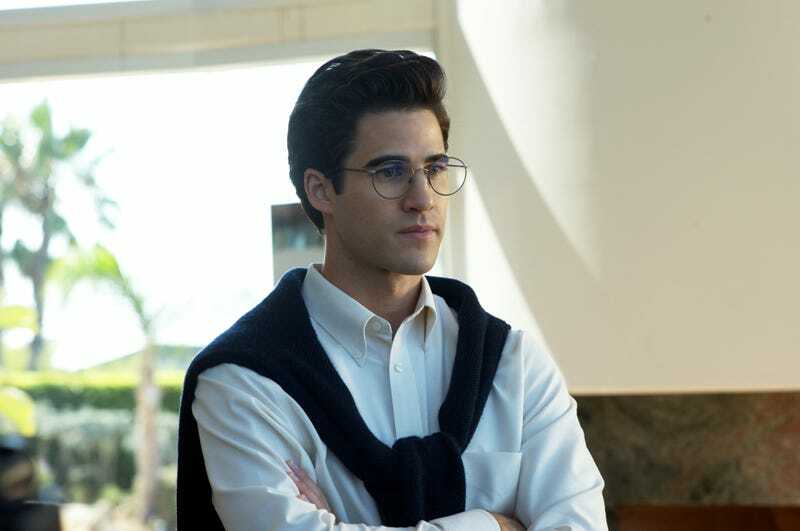 “Descent” is a lonely and isolating episode of The Assassination of Gianni Versace, which is sometimes even heightened when Andrew is seen with other people. At the same time, it also remains unforgiving; there are instances where you almost want to feel sorry for him (the ending comes to mind) or when it offers hints to partially explain his actions, but the episode smartly never commits fully to these ideas. It’s these scenes where the effectiveness of the backwards timeline (which ended up growing on me) is most on display: you can’t ever feel truly sorry for Andrew because we’ve seen the vicious, brutal murders. What “Descent” is most concerned with is depicting Andrew’s, well, descent as he spirals further into drugs, sadness, and desperation, becoming more unhinged with every moment. It also wants to simply shed more light on Andrew’s character in general—again, I presume, with a blend of fact and fiction. “Descent,” which jumps back a year before the murders, begins at Andrew’s birthday party while he’s on a mission to do one thing: win over David. The only thing that’s bigger than Andrew’s current obsession with David is his forever obsession with being seen as someone much better than who he actually is. Andrew struggles to control other people’s perception of him, as if trying to craft his own narrative. He even wants to have two birthday parties: one for Norman’s friends, and one for Andrew’s—even though he’s ostensibly living off Norman (vaguely as a kept boy), he doesn’t want his peers to know that he’s shacked up with an older man. He wants them to think he’s available, he’s rich, he’s successful, and he’s in control. He especially wants David to see this. It’s hard to parse how much of Andrew’s infatuation with David is real—or maybe he just thinks it’s real?—vs. how much he just thinks the two of them will look good together to outside people. But there seems to be some truth to Andrew’s infatuation (and the hope that the two of them can build something together) as he describes his feelings to a friend: “[David’s] a home. He’s a yard and a family, and picking kids up from school. He’s a future.” (Also of note: He says all this while still not being able to fully admit that he’s gay.) But despite Andrew’s efforts to impress—which includes a reluctant Jeff ordered to give Andrew a particular gift that Andrew himself picked out, and also lying to say he’s still a Naval Officer—David’s eyes are elsewhere. It’s David and Jeff who hit it off, not David and Andrew who nervously watches the two chat before slipping away for some confidence-boosting drugs. You can see Andrew start to unravel during this party, full of nervous and paranoid energy, and increasingly upset that he’s not in control. Control is such a recurring theme in this episode: personal control, control over people, control over relationships, losing control to drugs and madness, relinquishing control to a familiar family figure. Reeling from the party not going his way, Andrew hands Norman a list—an ultimatum, really—about what he wants in order to stay. But Norman isn’t as foggy as Andrew assumed; turns out, Norman already investigated Andrew and found out all about his lies. Among them? Saying his parents are New York City billionaires, that was he was disowned when they learned of Norman, and that he has a PhD. Andrew’s a mix of frustrating contradictions: The notion of going back to school is “insulting” because it’s “ordinary”—Andrew’s biggest fear, it seems, is to be a normal, ordinary, forgettable person—yet he still puts enough importance on being educated that he lies about having a doctorate. Andrew loses the control he thought he had over Norman, and both David and Jeff are next. A glossed-over element from “Don’t Ask Don’t Tell”—the postcard that Andrew “accidentally” sent to Jeff’s father—occurs in this episode, and Andrew plays dumb (“Why would I do that?” and “Your parents always assume”) but now it’s clearer that this move to force Jeff out is another way Andrew attempted to exert control over the men in his life, especially when they weren’t catering to his will. With Jeff moving to Minneapolis for a propane job—not for David, he emphasizes, but that’s surely a part of it—Andrew see this as two men he brought together, one of whom he “loves,” leaving him on the outside. Andrew tries to regain control through David, surprising him with a ticket to Los Angeles and a free stay in a fancy-as-hell hotel, treating him to big meals and new clothes (“Dress for the man you’re going to be,” he advises). He tries to woo David by sort-of speaking honestly, per David’s request, and does sprinkle in some real details (his parents’, and especially his mother’s, spoiling him to a bizarre extent) with some toned-down lies. But that doesn’t work either. Andrew is left alone, now controlling the fictional narrative in his head, telling a bartender about his engagement and honeymoon. In a drugged-up fantasy sequence where Andrew, high on crystal, imagines Versace as his tailor, Assassination once again tries to draw parallels between murderer and victim—while astutely showing Andrew’s warped self-perception. Andrew is sort of right in believing that he’s given a lot to people but that’s different from believing the world has “taken” from him. And his generosity isn’t about being generous at all: it’s about buying people’s affecting, forcing people into trips, manipulation and control through material items. “The world has wasted me,” Andrew says, even though it’s turned Versace “into a star.” In a searing exchange, Andrew wonders aloud about the difference between them and ultimate chalks it up to luck; imagined-Versace chalks it up to being loved. Lee Miglin was at the party! Which feels a little too much like tying a neat little bow on connecting the men (Lee, David, Jeff, and Andrew all in one photo), but it was quick enough.